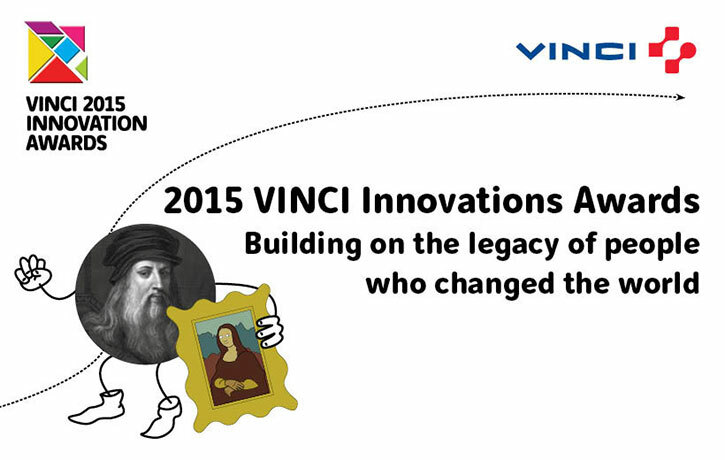 The VINCI Innovation Awards competition takes place every two years and is one of the ways in which we recognise and showcase the creativity and entrepreneurial spirit of our people, both as teams and individuals. Winners of the 2015 VINCI Regional Innovation Awards for the UK and Ireland were announced this week at a ceremony held at the Royal Geographical Society (RGS) in London. Region collected prizes at the RGS and these innovations will now go through to the final competition which will be held in Paris in December.